TIME Magazine’s cover package this week feeds into the antagonistic, Mommy Wars culture that has become rampant in the United States. We live in a society dominated by metrics purported to determine merit, grades and standardized test scores, sales figures and evaluations. And somehow that mindset trickles down to parenting. Turning parenthood into a competition starts early. “How old is she? How many hours is she sleeping?” “Did you give birth naturally?” Mommy bloggers post about all the minutia of babyhood in a way that makes it seem like an accomplishment. Dr. Sears coined the term attachment parenting, and brought some of its practices to light in mainstream American society. It makes me really sad to see his work equated with competitive parents who brag about how long they co-sleep or judge others for having their baby on a schedule. However, the media seems obsessed with the idea that attachment parenting is about mommy martyrdom. Though there are AP moms who judge other people very harshly, that’s more about them and the culture of competitiveness in our society. If you never leave your toddler or preschooler in a nursery, with a babysitter, or even with your spouse, that’s a personal choice, not one that has been dictated by the philosophy itself. Motherhood is hard work. In our own human effort to build ourselves up and find meaning in our lives, we turn our choices into accomplishments, our children into gold stars that show our worth. Whether we are bragging about how many hours they slept alone in their crib or how many kids share our bedroom, we are getting it wrong every time we find our value in life that way. We are all different, and so are our children. There is no single approach that will work for all families or personalities. That’s not to say that we ought not ever talk about our choices or seek encouragement, we all need a little help sometimes. But we need to see our own choices as doing the best we can, with what we have, where we are and give our mommy-neighbors the benefit of the doubt that they are doing the same. 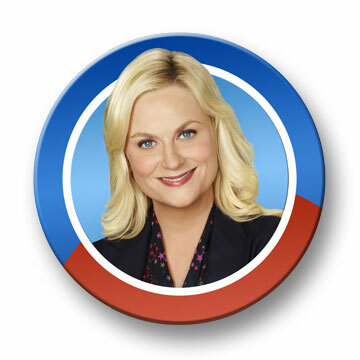 Last week I changed my ringtone to the Knope 2012 theme song. Not quite sure what other people think when they hear the stylings of Duke Silver. But I love television, especially Parks and Rec, and I don’t care what anyone else thinks. It’s easy to take a stand for a fake candidate. It’s been very interesting to me to watch the state of North Carolina grapple with amendment one from a distance, via facebook and blogs and news reports. I have been surprised by how many friends have taken a stand and publicized their position, like my friend Kari did on her blog. That’s a lot more gutsy than my ringtone. Most of them are promoting a civil dialogue with wisdom and careful rhetoric that I wish our elected leaders would try to emulate. Though I cannot vote, my thoughts were well summed up by John Hood, president of the conservative John Locke Foundation. Should I assume and say that anyone who supports the amendment, including friends and colleagues, must be a bigot? Should they assume and say that anyone who opposes the amendment must be faithless, or hostile to family values? Not if we want to live and work together in a civil society. And not if we actually want to persuade rather than to preen, persecute, or provoke. Most North Carolina voters, it seems, are likely to support the amendment. I disagree with them, but that doesn’t mean I should say they all have small minds or evil intent. Once you start down that road, you end up ranting and raving to an ever-shrinking audience characterized by uniform views and smug self-satisfaction. Love one another, North Carolina. Be good neighbors. I’m praying for you. I’ve been thinking about writing a blog post about Trayvon Martin for two weeks. It’s hard to know what to say in the face of suffering and injustice. But these sorts of incidents can be a catalyst for asking ourselves hard and necessary questions. Instead of writing about vigilantism or guns or prejudice, I want to start with those questions. Who are we afraid of? Why? Is it appropriate to use a handgun in a conflict? When? Why? Would you carry one? If we can think we’re doing the right thing, but be wrong, what safeguards do we have to keep our emotions in check? What is our responsibility towards our neighbor’s property? Is it different from our neighbor himself? There are many angles to consider this story from and I appreciate this roundup from Kristen at Rage Against the Minivan for more of them. I think this death should cause us all great sorrow at a life cut short and the dangerous profiling that black young men face in daily life. Even if details about Martin or the incident emerge that paint him in a less saintly light, remember that the truth resists simplicity. He may not be perfect but that doesn’t change these facts of the case: that he was unarmed and that a large man was following him while he returned from buying snacks. He was not committing a crime. I hope that in a year, or even five, our society remembers Trayvon Martin. And we’re a little bit better because we do. 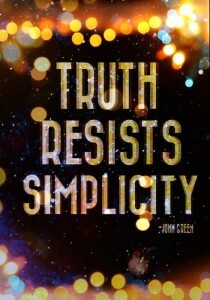 On their popular youtube channel, Hank and John Green often note that the truth resists simplicity. When you are thinking about economics or politics or international issues, it’s a good thing to keep in mind. The world is a complex place. People are complicated, and the more people involved, the more complicated it can get. The 24-7 news cycle seems to perpetuate over-simplification. More news doesn’t equal better news, in fact, in the race to get some analysis on the air, journalists often lose necessary nuance and perpetuate stereotypes and misinformation. The decline of print media means we have less informed people taking the time to understand situations before they report them, and that’s a loss we all feel. Complex problems require complex solutions. For example, the problems in Central Africa are much larger than Joseph Kony* and making his capture the #1 priority for the region in Western minds probably doesn’t reflect what most Ugandans feel would make the biggest impact. For example, there is a great deal of development needed in Northern Uganda and also a health crisis called nodding disease, that has affected thousands of Acholi children in the past few years. I was very moved reading about women in Kampala tying themselves to trees yesterday in protest of the government’s failure to devote enough resources to this devastating disease. But this problem of not engaging the world complexly isn’t new. We’ve always struggled with it. We find heroes standing for truth, beauty and goodness, and are heartbroken to learn they are narcissists or adulterers. We think of wars in terms of good guys and bad guys. We simplify even knowing that we ourselves are not simple, and our motives and actions are rarely pure. 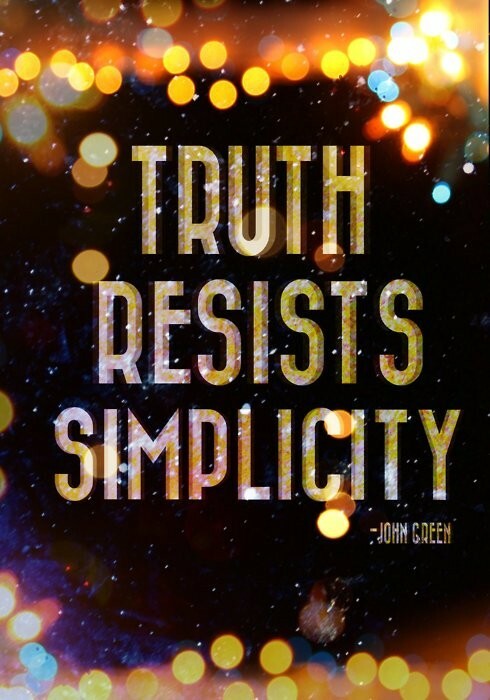 That’s probably because the truest story we have is very simple. It’s a story where the good is immeasurably, purely good and the hero has no skeletons in his closet. It’s the story we want all our other stories to be like. And so we try to fit all the other stories into a simple narrative of good vs. evil, where evil will be vanquished and everyone will live happily ever after. In a fallen world where the characters are made in the image of God, our reductionistic efforts will fail. But if we look at these human stories as part of the big story of cosmic history, we can know that good will triumph over evil, and there will be no more suffering or sorrow or pain. That doesn’t mean we can’t, or shouldn’t work for justice. I believe it is good and right for us to do so. But we can’t expect our human efforts to have heavenly results. There is no magic bullet, except for the coming of Jesus. It’s freeing to know that we can’t fix everything, so we can focus on doing the best we can, where we can, in ways that bring shalom. Joseph Kony is not in Uganda (and other complicated things) from Foreign Policy magazine’s blog. Most Sundays I share some links on twitter with the #sundayread hashtag. Here are this weekâ€™s. Twenty-First Century Excommunication http://on.wsj.com/ogTGJd TEC would rather church become mosque than go Anglican?! Appreciated Richard Mouw’s take on Mormonism here: http://bit.ly/oEGjQ7. ReliSciNerd, so I am totally fascinated by the LDS. I headed to Birmingham a few days ago, saw friends, ate Greek food, and had a great time. Sorry for the blog neglect. Most Sundays I share some links on twitter with the #sundayread hashtag. Here are this week’s. I have been following the protests in Egypt with interest, as I imagine many of you have been. It’s always inspiring to see people stand up for their rights with a firm dignity rooted in peace. Moreover, to see Muslims and Christians come together in support of democracy gave me great hope, as well as protesters preventing riots, guarding against looters, and patrolling their own demonstrations. Though I firmly believe this is about Egypt, it is also fascinating to watch the United States foreign policy at work. As the Obama administration’s previously non-committal stance (at least publicly) turned to outright condemnation in the last 24 hours, I wondered about America’s role in the twenty-first century world. Is the concept of the superpower over in a more global society? As rural areas worldwide gain cellular and internet coverage, does the free spread of information provide sufficient protection against oppression for both dissidents and ordinary citizens? Obviously, even if it can or will, we have not arrived yet. It’s far too easy for governments to limit access temporarily (like we’ve seen this week in Egypt) or systematically (as in China.) Human Rights Watch & Amnesty International have plenty to write about every day. But it’s encouraging to believe that that the systematic oppression going on in the world is at least tracked and spoken out against. I hope that as the situation in Egypt continues, and the ripples are felt in places like Sudan and Yemen, we continue to watch, listen, and amplify voices that need to be heard when their governments fail to listen. Every Sunday on Twitter, I try to participate in the #sundayread hashtag and share some links worth reading. Here are a few I tweeted, and a few in addition. It’s Poverty, Not Stupid. Essential to keep in mind when discussing education reform. In 2009 & 2010, the U.S. military lost more troops to suicide than to combat. Does Football have a future? The concussion crisis as covered by the New Yorker. Two interesting responses to Chua’s Tiger Mother: The Anxious Parent in First Things and Roar of the Lion Father in the Washington Times.